This convenient desk rests on the floor of your vehicle and mounts to the security/safety partition. 4 slanted pockets holds books and manuals up to 13" wide. Two top trays are accessible when desk is closed to store pens, pencils and business cards. Desk opens in one smooth motion and is supported by slide arm strut. Folds down with a slight lift and lower motion and secures with a latch. Side Mount Flashlight holder. Desk measures 12 1/2"W x 22 1/2"D x 18 1/2"H. Built-in hanging rails adjust to hold either letter or legal sized hanging files. Desk is secured with a keyed lock. *Fits most vans. 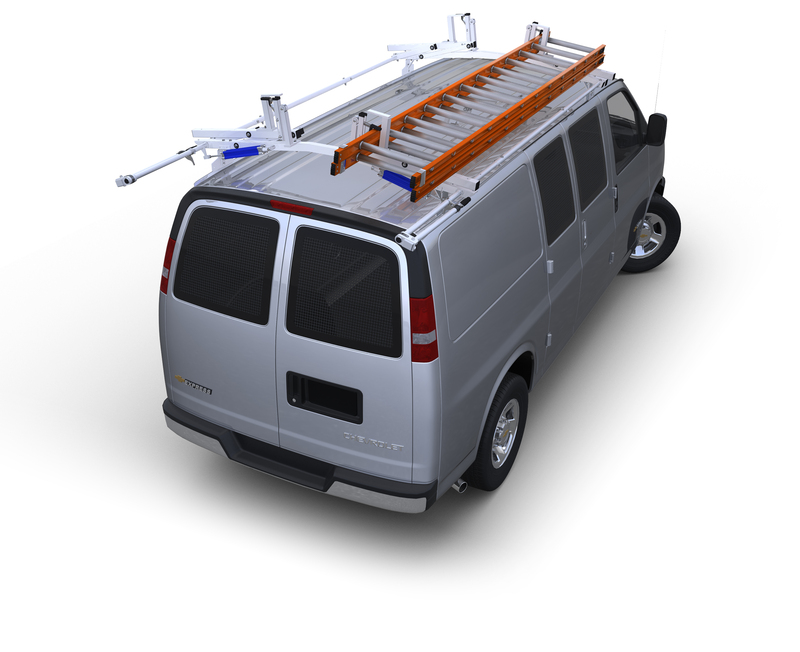 *Cab File Desk does not fit RAM ProMaster, Ford Transit and Sprinter vans. Click HERE for the Desk to fit those vans. This heavy duty Cab File Desk systems is designed to accommodate all of your office needs on the road. All steel construction with fully hinged lockable lids provide secure storage for many items. *This Cab File Desk is for RAM ProMaster, Ford Transit, Nissan NV and Sprinter ONLY. Click HERE for the Desk to fit other full sized vans.